Buffalo State has received a $450,000 grant for the upcoming academic year to help disadvantaged middle and high school students thrive through the college's Liberty Partnerships Program (LPP). Funded by the New York State Education Department, the grant is part of a five-year, $2 million contract that began in 2017. The grant pays for case management, workshops, academic tutoring, and specialized programming to address the academic and social-emotional needs of seventh through 12th graders who attend Herman Badillo Bilingual Academy, Lafayette International High School, McKinley High School, and West Hertel Academy. Students identified as “at-risk” by their school counselors are enrolled in the program. The Education Department established LPP in 1988 to address the significant school dropout rate in New York. Currently, there are 41 LPP sites housed in colleges and universities across the state, including Buffalo State. LPP data indicates that 94 percent of graduating seniors who participated in the program in 2016–2017 planned to attend college. And students who participated at all grade levels scored better on Regents exams and classroom tests. 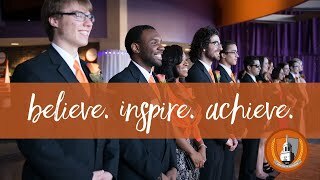 In addition to providing tutors and mentors in the schools, Buffalo State staff and graduate assistants help students develop leadership skills and set personal and career goals. One popular initiative last year, the Gentlemen’s Institute, focused on male students some of whom were on verge of being suspended from school. Another LPP initiative enabled McKinley High School horticulture students to attend a three-night camping trip at the Oswegatchie Education Center in Adirondack Park where they engaged in educational and team-building activities. The overall goal is to keep students motivated for the next stage of life. Students visit campus during the academic year and the summer. They visit residence halls, attend SAT workshops, speak with Buffalo State students, and obtain information from the Admissions, Career Development Center, and Financial Aid offices.